DesignApplause | Ball. 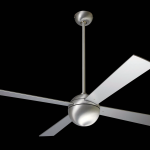 Modern fan. 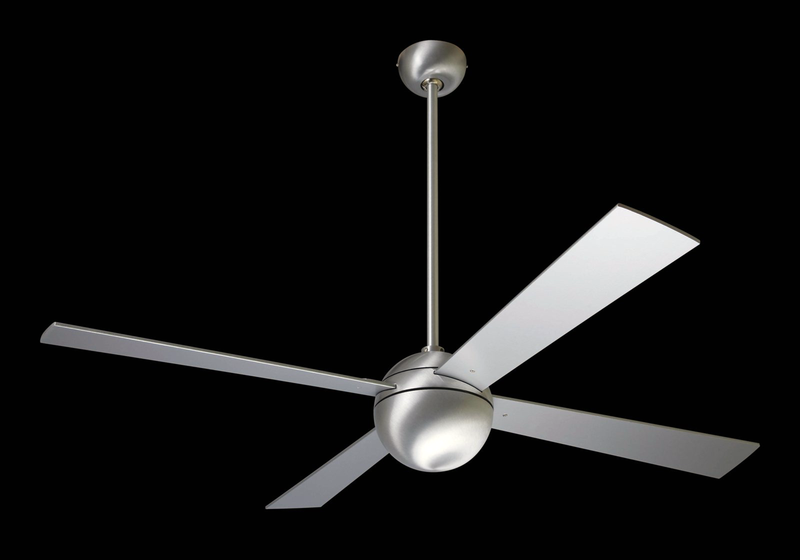 The Ball fan represents a return to The Modern Fan Company’s roots, derived from a minimalist approach to ceiling fan design. A perfect sphere provides visual simplicity while housing all the components required for exceeding the EPA’s Energy Star guidelines for air movement efficiency (rating applies to fan only). 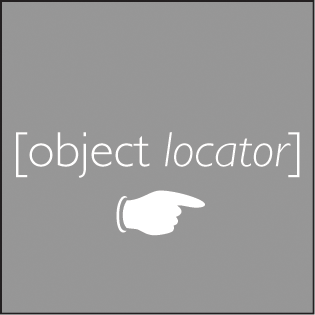 The Ball is made of die-cast aluminum and offered in either a gloss white or a hand brushed aluminum finish. 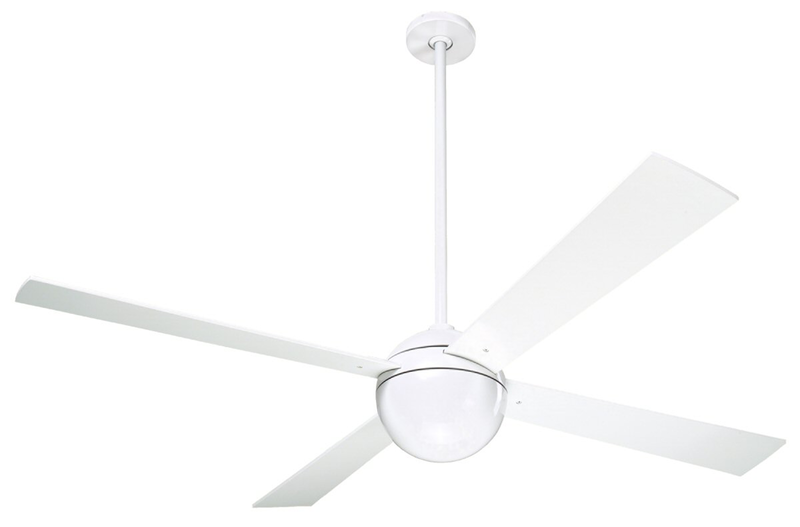 The blades are a plywood laminate with a gloss white coating or metallic aluminum paint to match the brushed finish. The optional light kit provides ambient lighting in your choice of halogen or compact fluorescent lamping. The motor is a high power silicon steel design with 16 poles. These motors are designed for long life and silent running, and are controlled by dual capacitors. 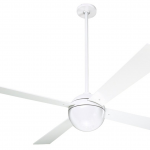 The fan speed and the light can be operated by one of several control options. Note: Any control ordered with a fan that has been configured with an energy-saving CFL will be supplied in a non-dimming version. Includes 3″, 6″ and 16″ downrods for 11″, 14″ or 24″ overall height. Optional downrods are available for alternate heights. 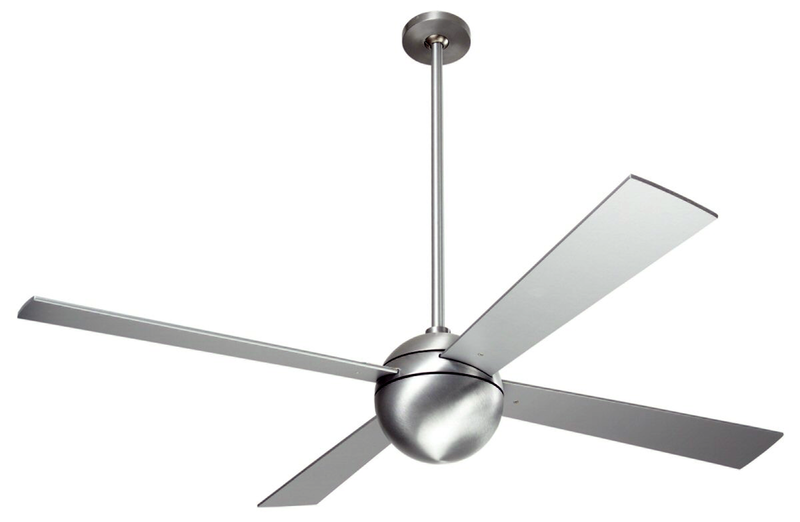 The Ball fan can accommodate a sloped ceiling up to 33°. For slopes over 33° but under 45°, use the sloped ceiling adaptor (sold separately). Includes 3″, 6″ and 16″ downrods for 11″, 14″ or 24″ overall height. To calculate overall height when using optional downrods, add 8″ to the downrod length.